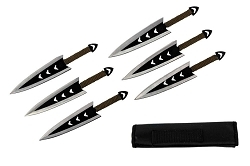 6 Pcs Ninja Kunai Throwing Knife Set with Sheath 6.5"
Home > Throwing Knives For Sale > 6 Pcs Ninja Kunai Throwing Knife Set with Sheath 6.5"
This is 6 Pcs Assorted Color Throwing Knife Set Throwers With Pouch, The set includes 2 silver knives with red handle wrap, 2 black knives with black handle wrap, and 2 titanium knives with blue handle wrap. 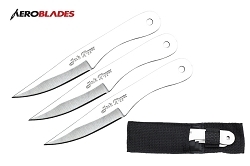 The knives are constructed from 440 Stainless Steel with a perfect balance. 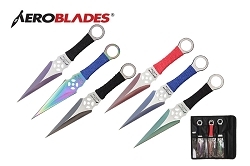 The edge of the blade has a false edge, but the point is very sharp. 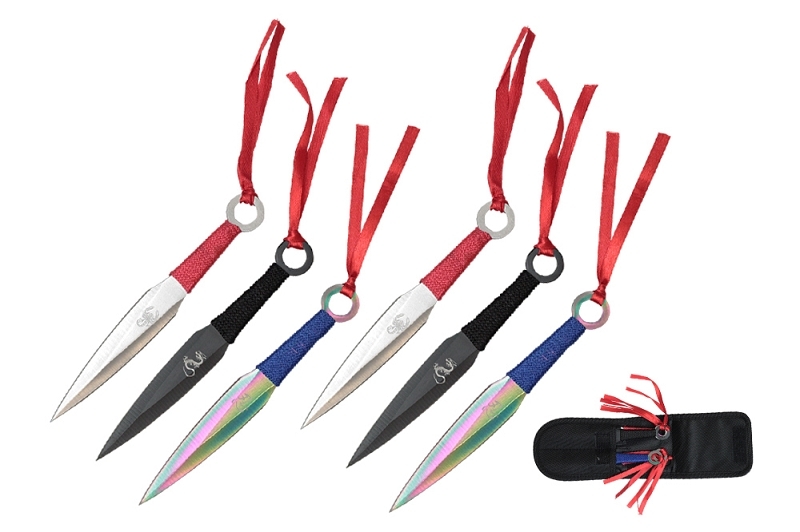 The knives include a zip up nylon case that has 6 individual pockets for each of the knives.